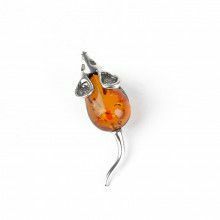 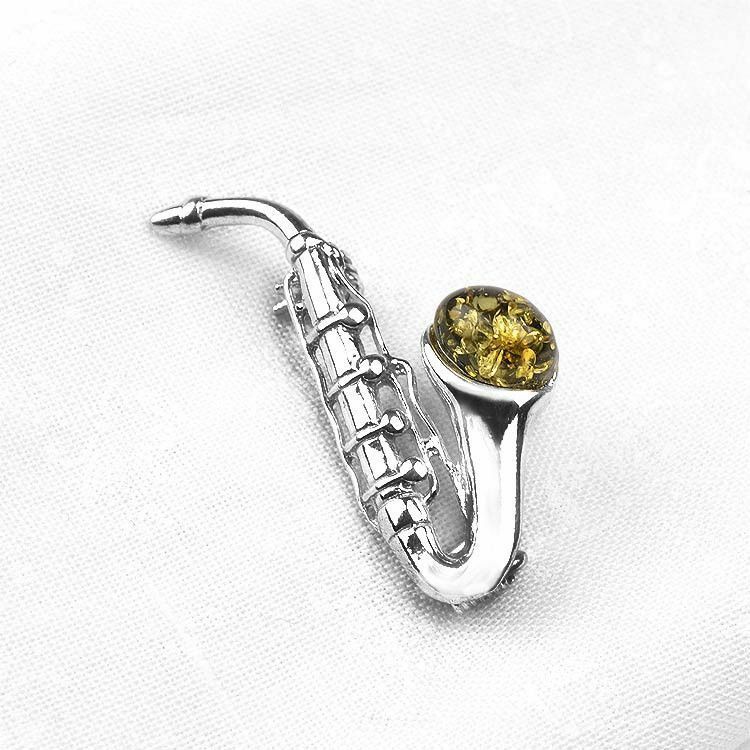 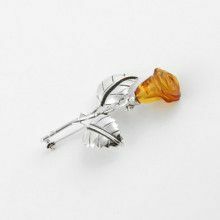 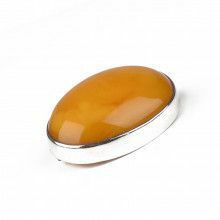 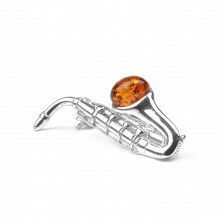 This awesome little pin features a glittering green amber stone and a sterling silver saxophone musical instrument design. 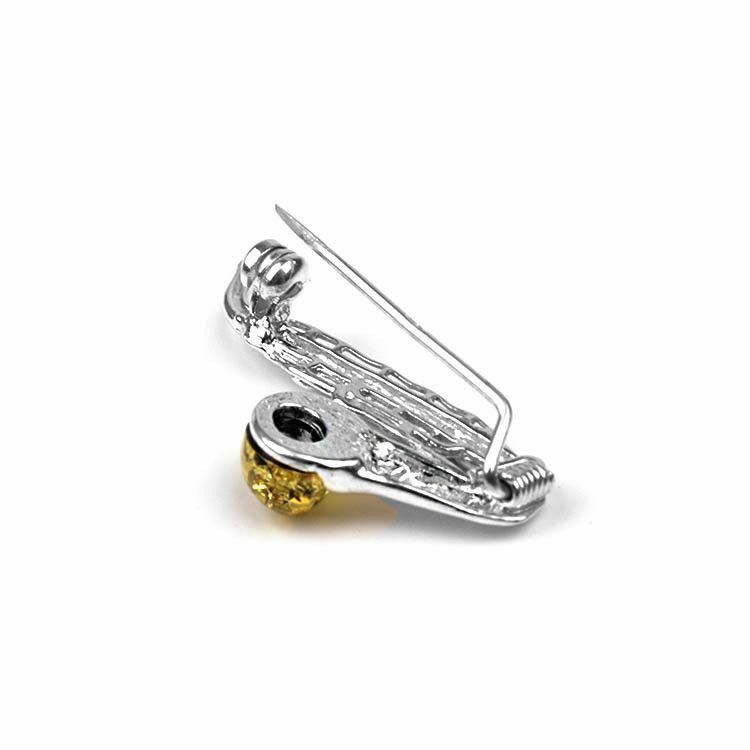 It is about 1 1/4" long and just over 1/2" wide. 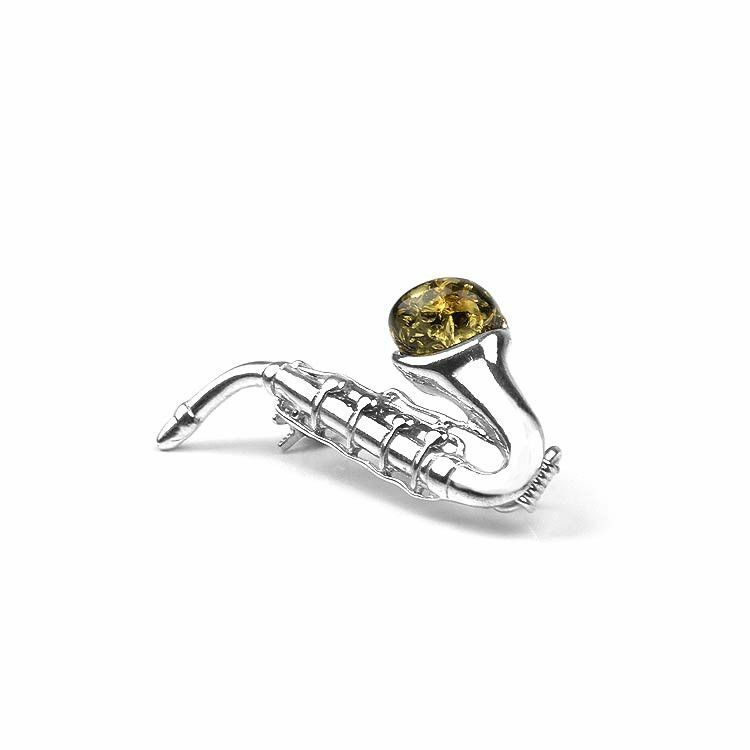 The rare green amber is about 1/4" in size.